…Starring Kermit, the green, long-suffering frog at the head of a cast of millions! Well, over sixty, anyway — but the action’s so fast and furious you’d swear that Muppets had taken over the world! 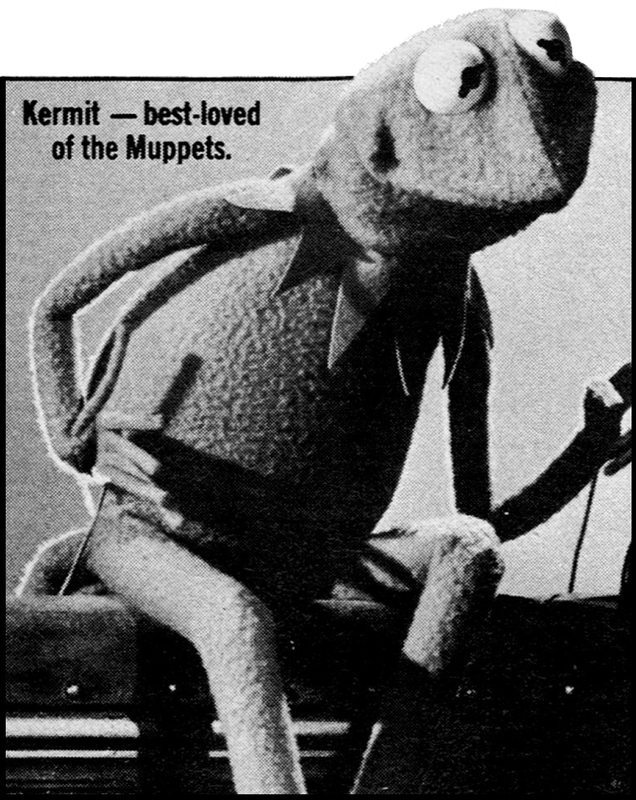 Kermit – best-loved of the Muppets. 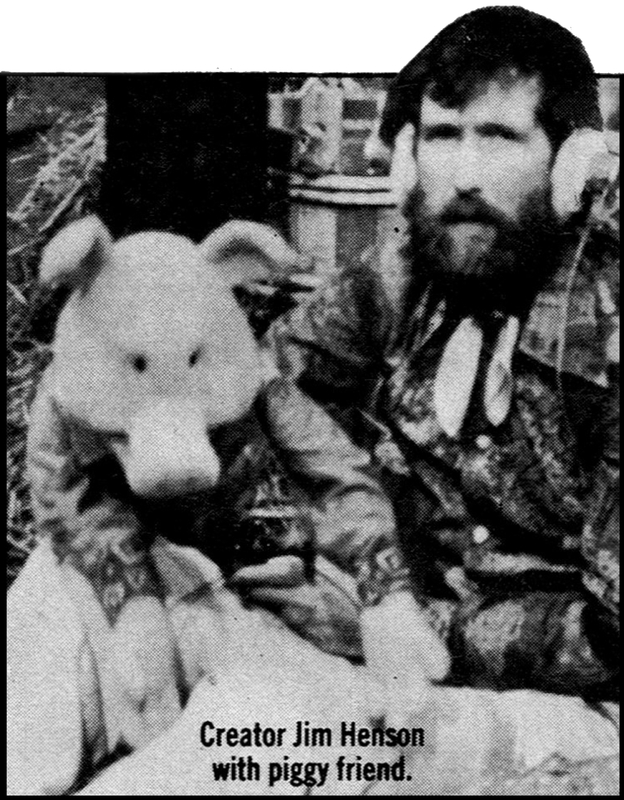 Creator Jim Henson with piggy friend. Liberace never had this trouble. 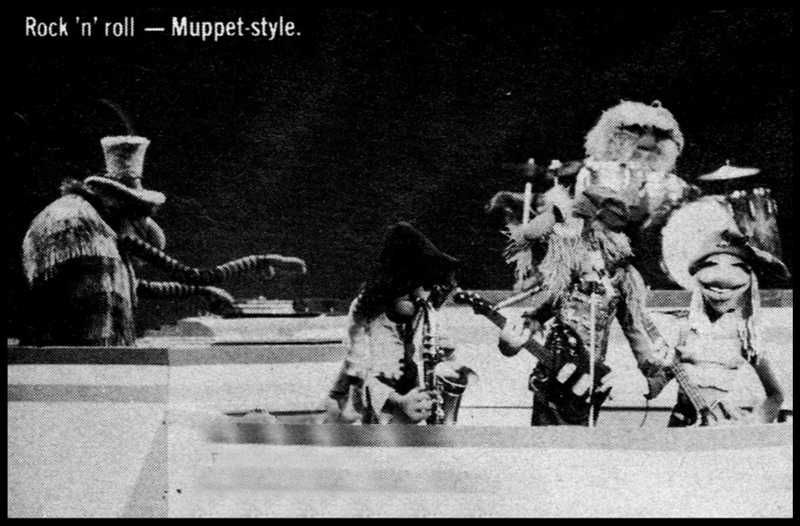 Rock ‘n’ roll – Muppet-style. 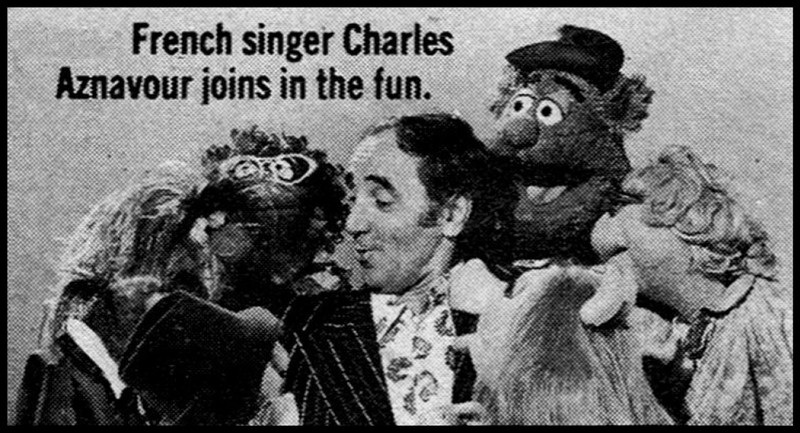 French singer Charles Aznavour joins in the fun. The Muppet Show — on screen this Sunday — is a today spectacular. A slick musical where cows, dogs, bears, hens and all kinds of likely and unlikely characters sing, dance, make music and tell jokes. And they allow a real live human being in the form of a big-name star to join their ranks each week. For Muppets are puppets, and without a shadow of doubt they’re the greatest, most animated, most believable puppets you’ve ever seen. 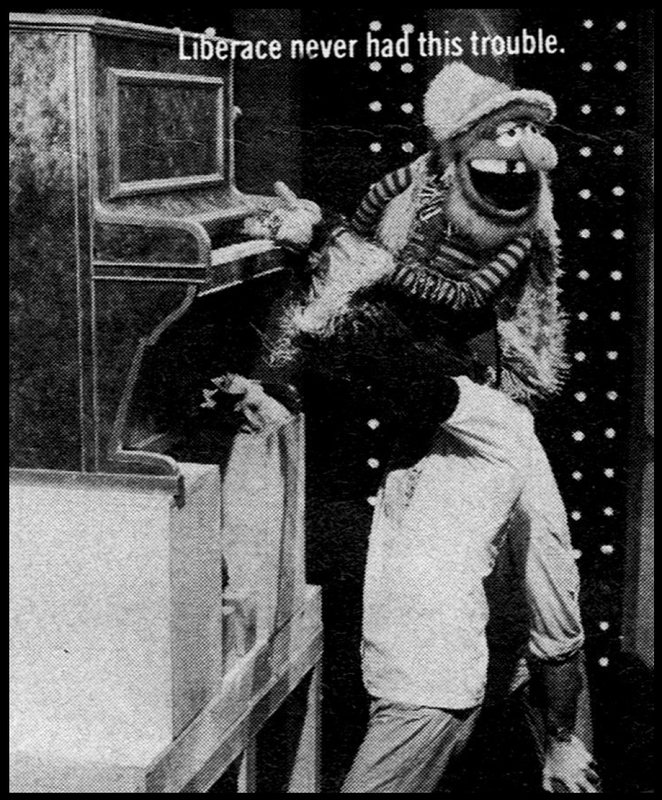 After many years of the educational programme Sesame Street, and after guesting on major TV spectaculars with stars like Julie Andrews, Tom Jones, Perry Como and Herb Alpert, the Muppets move into a family appeal slot of their own, described by their creator, Jim Henson, as a music-hall variety entertainment with on-stage and back-stage action. Kermit — his oldest and best-loved character — has the support of a whole Muppet orchestra, a Muppet chorus-line, and Muppet acts. 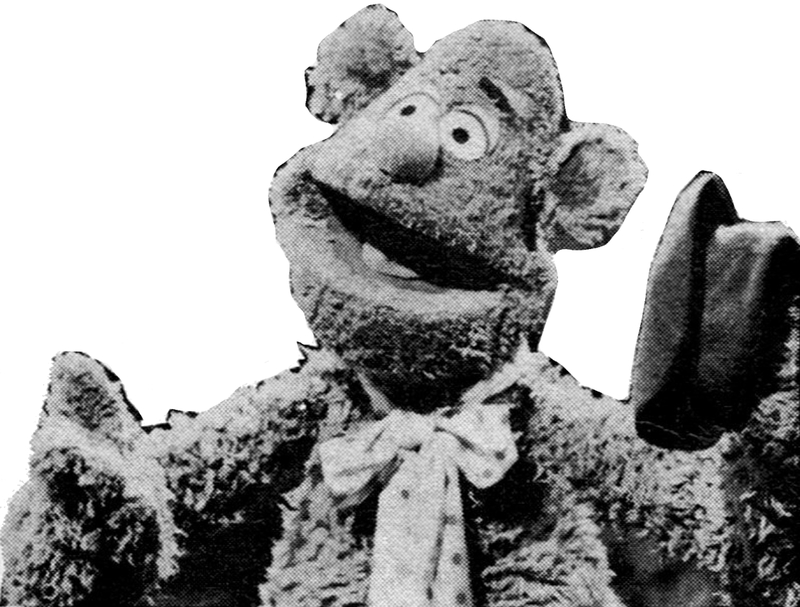 There are Muppet scene-shifters, and even a Muppet wardrobe mistress, named Hilda. If it’s corny comedy you’re after, listen to Fozzie Bear. His jokes are so bad they match his own description of them. ‘Unbearable’. Singing? Listen to Miss Piggy – She’s so far out, she’s coming back! You want a piano-playing dog? Rowlf’s the name. Operating these puppets is an incredibly involved job. Some of them are worked by hand. Others by strings. 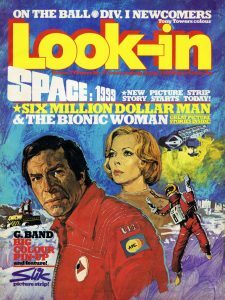 Yet more by rods. And there are even times when life-size puppets get on stage, worked by animators dressed in black, against a black velvet backdrop, so’s you can’t see them. In fact, part of the fun for the viewer is to try and guess just how the many and varied visual tricks are worked. When you join resident theatre-goers Waldorf and Statler, two very human Muppets who spend their time commenting on acts from their permanent box at the stage-side, you’ll see Guru, a mystical Indian. You’ll see the incredible Doctor Teeth, leader of a way-out band that includes Zoot, a remarkable sax-man, Floyd, a bass-player, and a wild-man drummer named Animal. And when you see the Snoths — cow-like females who sing — you’ll flip! 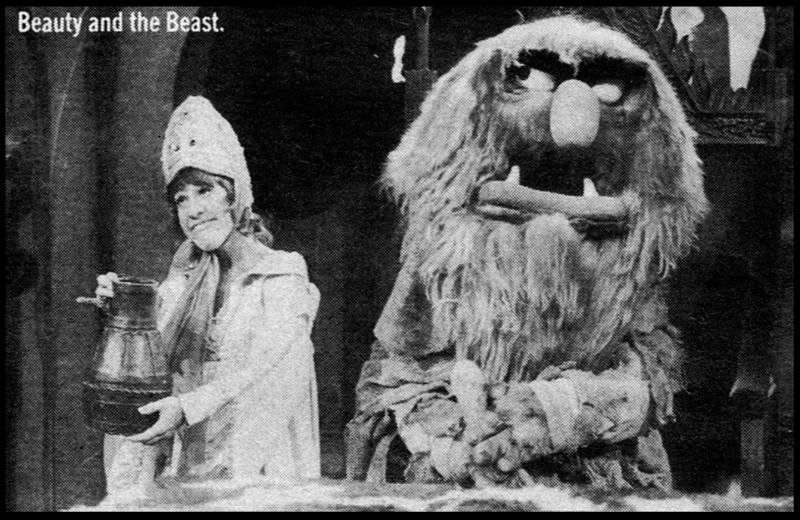 Their appearance in the opening show in company with a zany beatnik Muppet has to be seen to be believed! But here — why should you take our word for it? Tune in yourself and see why the Muppets are going to be the television talking point this autumn.